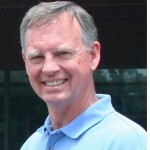 Dr. Mark Saunders, who recently retired from a long-term ministry as pastor of the historic First Grace Brethren Church in Dayton, Ohio, has been named by the Association of Grace Brethren Ministers to be AGBM’s Director of Pastoral Ministry. The latest e-mail newsletter from AGBM president, Joel Richards, of Modesto, Calif., indicates that AGBM wants every pastor and leader in the Fellowship to know that there is someone who cares and will listen. Several pastors will be representing AGBM in their regions. Currently these men are Roy Halberg/S. California; Greg Howell/Northwest; Joel Richards/N. California; Bob Arenobine/Central; Bob Combs/Ohio; Dan White/Northeast; Randy Smith/Florida. These men will be making regular contact with the pastors and leaders in their regions to support, encourage, pray and listen as needed.